Growing up in a large family, my parents couldn't really afford to buy us a lot of gifts but the one thing that was traditional was a family gift that we opened on Christmas Eve and every time, it was a new board game! We would play the new game for hours on end and it was always so much fun. It is one of my happier memories- playing Monopoly for days on end, laughing, fighting, Mom's homemade hot cocoa and eating. 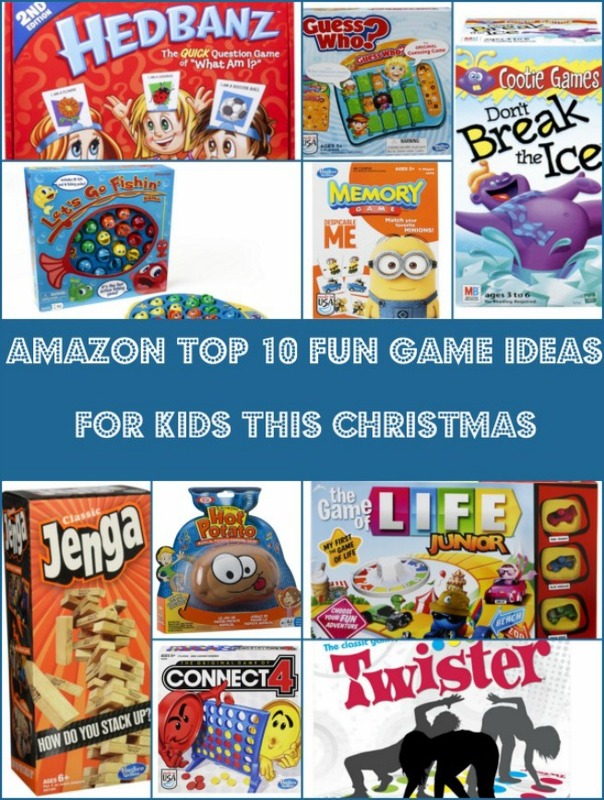 Christmas games are still a tradition I like to maintain and I am sharing a list of the Top 10 Fun Game Ideas for Kids This Christmas from Amazon. Utilizing Amazon prime and their competitive pricing, it's a great source for games that make for an AWESOME family gift that lasts year round! I hope this list provides you with some great ideas and make your Christmas extra memorable! Happy Salmon is one of the HOTTEST games for 2017! Perfect for ages 6 and up and supports 3-6 players. This is the high-fivin', fin-flappin' card game that promises fun for HOURS! 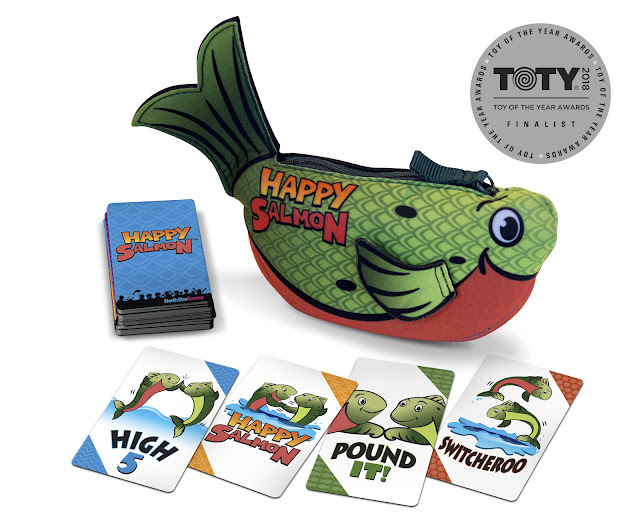 Get 72 cards, 1 rulebook, and a Happy Salmon pouch! Which games are your favorite?